A gay journalist in New Zealand was beaten up during Pride weekend in a homophobic incident. 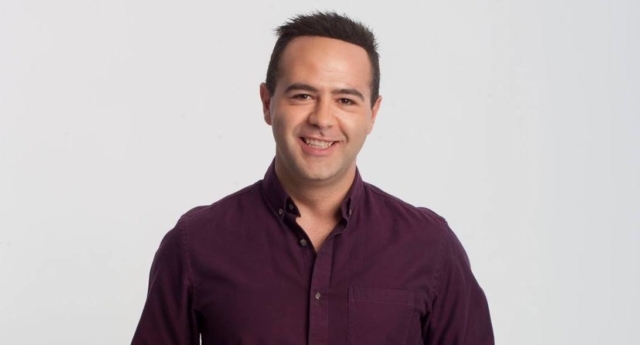 Aziz Al-Sa’afin, a reporter/producer for New Zealand morning talk show The AM Show, said he and a friend were attacked by at least two people while out in Auckland on Saturday (February 9) night, just as the city was in the middle of celebrating Pride weekend. “I got gay bashed,” he said, speaking about the homophobic attack on the talk show on Tuesday (February 12). Al-Sa’afin said he and his friend were approached by the would-be “unassuming” attackers while walking down Karangahape Road, which is known as K-road, in the heart of Auckland’s gay neighbourhood. “Before I knew it, my friend was on the ground, getting bashed,” he recalled. Al-Sa’afin was also hit in the face, and as he fell back, he could see his friend on the ground getting kicked in the stomach and punched in the face. The next day, Al-Sa’afin attended Pride festivities, where he was due to be the MC, despite his family questioning his decision. The journalist appealed for witnesses to come forward with any possible information about the attack, but he also addressed those who have survived homophobic violence. “To those who have been a victim of this kind of brutal crime, you are not alone and it’s OK to speak up,” he said. Al-Sa’afin later posted a message on his social media platforms to thank those have supported him and once again sent a message of love to the community and survivors of homophobic violence. He wrote: “Like yesterday, today I wear my bruises with pride. #Pride to not be silenced, abused, or judged for who I am and who I love. You tried to break not only my face, but my heart too, and you failed. Try as you might, my community won’t be broken, like you obviously are. You will be found. “For those who have been on the opposite end of a fist, a foot, even a knife, you are not alone and you have nothing to be ashamed about. Stay proud, stay strong, and always know you are who you are meant to be, no matter what anyone says. I am overwhelmed and inundated with messages of support love, and help.